The surprising mix of peace and adrenaline, the quiet of the bush and the sudden burst of energy as wild animals congregate at waterholes; this is the magic of the African bush, where you experience the unexpected. vehicle for game drives on Ongava and into neighbouring Etosha National Park to view the astonishing variety of life found in this spectacular environment. 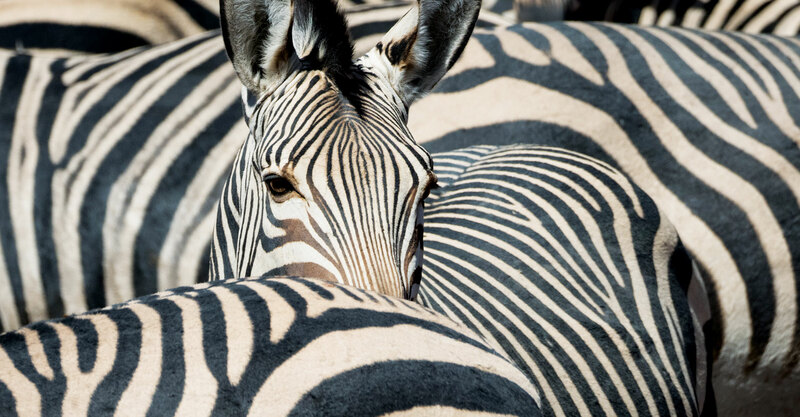 Lions, black and white rhinos, elephants, giraffe and several stunning species of antelope, including rare black-faced impala, are at home on the reserve. 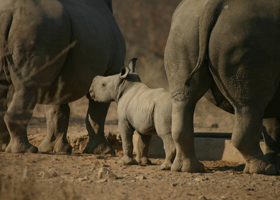 Rhino tracking on foot in the company of your trained guides is a part of our quintessential African adventure. Nature walks, photographic hides, lounging by the pool, or relaxing on your private deck are all wonderful ways to enjoy and reflect on your journey of a lifetime. An easy source of accurate GPS data for the location of rhinos can be sourced from pictures taken with increasingly sophisticated GPS enabled cameras. To avoid inadvertently providing criminals with this valuable rhino location information wildlife photographer Olwen Evans has kindly assembled this how-to guide. Please follow the steps set out in the downloadable guide below and share this information.